A word processing program similar to Microsoft® Word. It is suitable for a wide variety of word processing tasks and can be published as flipbook. Features WYSIWYG editing, encryption, multiple user settings. A wide variety of directories for spell-checking. 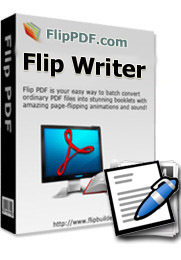 Flip Writer Standard is a powerful content-generation tool and online flip book maker for writers that allows you to concentrate on composing and structuring long and difficult documents. While it gives you complete control of the formatting, the output can be converted into flash page flip book for online&offline use. At a Glance: Easy! Even a new user, you can use Flip Writer within a couple of minutes without any special learning. With our easy to use interface, you can make a digital publication in a few mouse clicks! 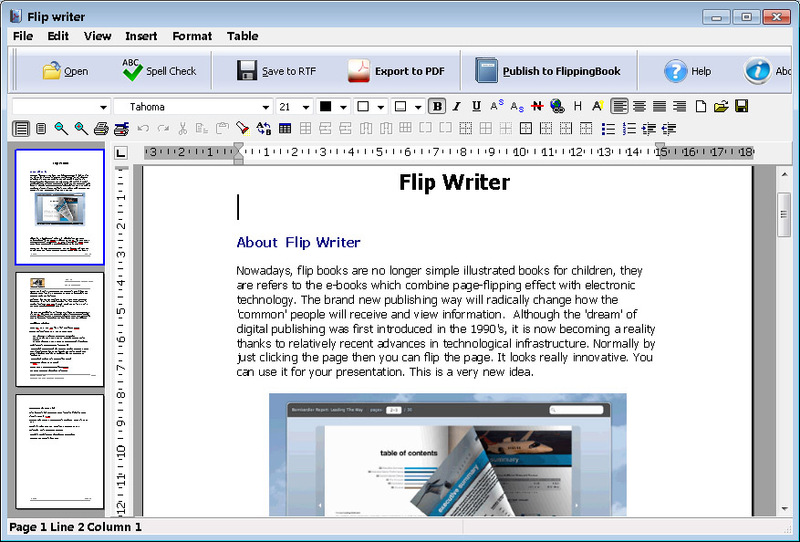 Even a new user, you can use Flip Writer within a couple of minutes without any special learning.